Having a neat and tidy lawn without having an aching back or a hefty garden maintenance bill requires the use of a lawn sweeper. While there are many types, all have the same essential function of gathering leaves, twigs, and lawn cuttings into a collection bag for a clean and debris-free lawn. If you are looking to buy a lawn sweeper for the first time, or wanting to upgrade or replace an older one, read on for all the information you need to know about the best lawn sweepers currently on the market. Here are some points to consider before you buy. This is the key advantage of lawn sweeping. It helps get rid of the accumulated thatch, especially in the winter. The decaying organic matter can be made up of dead lawn cuttings, loose roots, and leaves. Leaving all of that to sit on top of your lawn can suffocate it and stunt fresh growth. Lawn sweeping can remove thatch without harming well-rooted grass, and allows your lawn to breathe and benefit more from light, water, and the nutrients it needs to thrive. Removing thatch will also prepare your lawn for aeration or re-seeding. Lawn sweeping can collect stray twigs, fallen leaves, pine needles, pine cones, lawn cuttings, and other pieces of small debris that sit on your lawn. While it's important to prepare our roads to safely handle snow, these treatments can have a negative impact when they find their way onto our lawns. Your lawn will be free from rocks or twigs that could get caught up in a mower’s blades and potentially damage it. Do You Need a Lawn Sweeper? If you have a lawn, the short answer to this is: yes! Lawn sweepers are much less work to use than traditional methods of clearing your lawn, such as using a rake. Most gardeners dread having to rake up leaves because it is such a grueling task. Besides being time consuming, it is a physically demanding task that wreaks havoc on your back and shoulders. Raking can also be detrimental to the health of your lawn, pulling up healthy blades of grass from their roots and leaving unsightly marks on your lawn (SFGate). By comparison, a lawn sweeper is gentler on your lawn, yet simultaneously more effective. The rotating bristles on a lawn sweeper are able to sweep up even small particles of dirt and debris without causing any harm to the lawn itself. A lawn sweeper, compared with a rake, is also much less physically demanding, and many people even find it a pleasure to sweep their lawn. 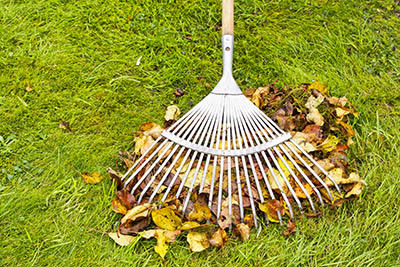 Lawn sweeping will be far less time consuming than raking and will also result in a clearer lawn. Lawn sweepers are preferable to leaf blowers, which some gardeners use to clear their yards from gathering debris. 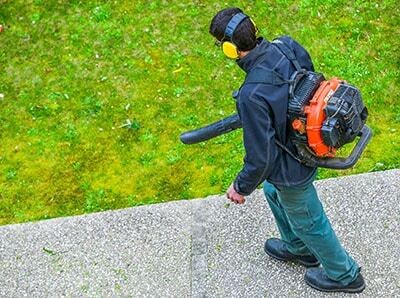 While leaf blowers are easy to operate, they are not particularly effective at removing unwanted matter from your lawn. Users of leaf blowers often find that they have spent the afternoon blowing all of the leaves on their lawn onto the road, only to find the very next day that all of the leaves have blown back again. Leaf blowers will not gather thatch from your lawn and they also do not collect the debris in a convenient bag for you like a lawn sweeper does. Leaf blowers are also loud and can be offensive to neighbors while a lawn sweeper operates relatively quietly. Push-along sweepers, in particular, are very quiet and inoffensive. They also do not require any fuel to operate, making them eco-friendly with a zero carbon footprint during use. There are two main types of lawn sweepers: those that are manually pushed along and those that can be fixed to the back of a lawn tractor and pulled along. While push-along sweepers need to be lightweight to allow them to be pushed with relative ease, they must also be sturdy and constructed of high-quality materials to ensure a reasonable lifespan. Tow-behind sweeper attachments tend to take more of a beating during use and so need to be strong and solidly built so that they can handle many years of use. The size of your lawn will likely dictate the type of lawn sweeper you require. Push-along lawn sweepers are generally good for lawns of up to 2,000 square feet whereas larger lots will likely benefit from a tow-behind lawn tractor attachment. The geography of your lawn will also affect which lawn sweeper you should buy as some sweepers fare much better on sloping land or rough terrain than others. When looking for a good lawn sweeper you should consider the size of the hopper bag that comes with it. For push along sweepers, a hopper bag that is too small will need emptying frequently and can become very inconvenient if you have to pause every two minutes to empty your bag. Equally, a hopper bag that is too big can become very heavy when full of lawn cuttings and can make operating the sweeper a much more difficult task. When it comes to tow-behind sweepers, the bigger the better is generally the rule for hopper bags, particularly if you have a large lawn to sweep. Other elements to consider are where you will store your lawn sweeper and if it needs to fold down flat or be light enough to hang from a hook. Your lawn sweeper will spend most of its life being stored in your garage or shed, so it's important that it won't be cumbersome to store and get in your way. You should do some research about your manufacturer - How the users rate their prouducts, whether the product has a warranty or guarantee, and if it is well-built and solid enough to stand the test of time. Don't worry about this as we shortlisted the most popular and trusted manufactuers and products in the article. Push-along lawn sweepers are operated by simply pushing the equipment straight ahead as you would a mower. Using a crosshatch pattern on your lawn will ensure optimum collection of debris. Empty your hopper bag every time it is almost full to minimize the risk of overflow. Tow-behind sweepers are simply attached to the back of your lawn tractor. Again, a crosshatch pattern will be most effective in removing the most debris from your lawn. 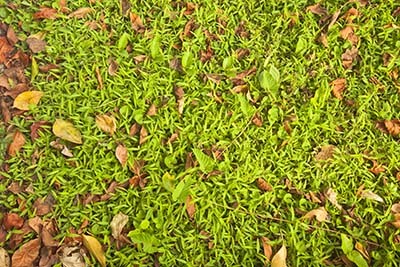 The most important tip for success in lawn sweeping is finding the right height setting for the clippings on your lawn. The brushes should be low enough to encounter some resistance, but high enough that they don't mangle your lawn. These are the best 4 lawn sweepers you can buy today. The Brinly and Ohio Steel tow-behind sweepers both have a width of 42 inches while the Agri-Fab tow-behind is slightly wider at 44 inches. Besides being the widest sweeper, the Agri-Fab tow-behind also benefits from the largest capacity hopper bag. Poor assembly instructions were noted by users of all three tow-along sweeper attachments, though the Agri-Fab 45-0492 was considered the simplest to use overall. This push sweeper from Agri-Fab is super lightweight at just 25 pounds, resulting in an easy to push lawn debris collector. Its low weight also makes it ideal for hanging up in a shed or garage for storage. The hopper bag is removable and must be disconnected to empty. With a capacity of seven cubic feet, the hopper bag is fairly small and may need to be emptied often if you have a lot of fallen leaves on your lawn. Suitable for areas of up to 2000 square feet and featuring a 26-inch wide rotating brush, this sweeper is recommended for small to moderate sized yards. Users were impressed with how solid this piece of garden equipment was in spite of its light weight, as well as how effectively it picked up small debris from the lawn, such as acorns and pine needles. Users of this sweeper love how easy it is to use and how lightweight and compact it folds down for storage. The hopper bag removes easily for emptying, although some users noticed that the bag did not seem particularly strong. If used often, or left to outside elements, some users expected that the bag may easily deteriorate. To lengthen the life of the bag, it is recommended to keep it inside when not in use, and duct tape up any holes or rips as soon as they occur. It is possible to buy hopper bag replacements from Agri-Fab is the bag does not live as long as the rest of the sweeper. Assembly of this sweeper is straightforward with users saying it took between twenty minutes to an hour to construct. Similarly to the other Agri-Fab sweeper reviewed, users of this product commented on the substandard packaging. Some recipients of the product had the box arrive with dents all over it and rods sticking out. Users recommend that this sweeper works best on level ground and does a mediocre job at collecting debris on steep or uneven surfaces. The best way to ensure success with this sweeper is to find the ideal height of the brushes for your lawn. This lawn sweeper from Brinly operates by being pulled along behind a lawn tractor. It features a high capacity 20-cubic foot hamper that can be emptied from the seat of the tractor, and folds down easily to a compact flat shape for better storage. The six high-velocity sweeping brushes have an adjustable height to increase the effectiveness of debris collection while the 42-inch wide sweeper maximizes efficiency. Users of this lawn sweeper are impressed with how it handles steep inclines and uneven ground. The reviews from users of this product are overwhelmingly positive. Some users estimate that close to 100% of lawn debris is swept up after two rounds with this product. Many users noted that this sweeper performs flawlessly, even managing to pick up wet leaves without getting clogged up. Some people compared this to previous sweepers they had used and claimed that this was the best they had tried. The only flaw that seems to bring this product down is the extremely poor assembly instructions. Many users found the instructions to be backwards or completely wrong, making assembly a massive problem. It took most users two hours or longer to build the sweeper. But in spite of this, it was still highly recommended. This tow-along lawn tractor attachment from Ohio Steel has a 42-inch wide sweeper and is made in the United States. It features plastic wheels and wheel gears while the gear that operates the sweeping mechanism itself is metal. Users of this product were impressed with how well it collects debris of all sizes from the lawn. Small lawn clippings as well as large pine cones are picked up with ease by this well-built machine. Users of this Ohio Steel sweeper also commented on how easy it was to operate and noted that it dumped the collected debris effortlessly. There were some negative aspects found by some users, notably the poorly designed hopper bag. The bag drags along the floor while the sweeper is in use, and so, over time, holes develop in the bag and it wears much more quickly than you might expect. Other complaints included poor assembly instructions and problems with using the sweeper on steep or rugged terrain. Overall, in spite of the negatives, most users still found this to be a good buy that they wouldn’t hesitate to recommend. This Agri-Fab sweeper is based on a very popular previous model with a few upgrades designed to make sweeping your lawn as hassle-free as possible. The 44-inch wide sweeper features durable brushes to increase the effectiveness of debris collection while the extra large 25-cubic foot hopper bag can contain more leaves and lawn clippings than most sweepers, meaning less time is spent having to empty it. The brushes of the sweeper can be adjusted to various heights using a simple pull button that has been specially designed to not come loose over bumpy ground. Correct height adjustment will result in optimum debris being gathered from the lawn. For better storage, this sweeper collapses without the use of a tool. At 92 pounds, this is a fairly heavy machine that would require floor space for storage, ideally leaning against a wall for best use of space. The assembly of this sweeper uses only two tools and is expected to take just thirty minutes. The product is held together with clever safety pins, eliminating the chance of nuts and bolts coming loose, which is a common complaint among users of lawn sweepers. Besides being impressed with the quality build and overall effectiveness of this sweeper, users are particularly fond of its ability to be used in tandem with a mower, increasing the productivity of the user and decreasing the amount of time spent on lawn chores. Users are generally impressed with the sturdy fabric of this sweeper. However, a common complaint is that the box this product ships in is inadequate. The box is weak and there are not enough protective packaging measures used, so the sweeper suffered damage or dents during transit quite often. For this reason, it may be a good idea to buy this product directly from a store if possible. Many positive comments from users of this sweeper are centered around the hopper bag as it is much larger than standard, and greatly improves the efficiency of sweeping a large lawn. The main complaint from users is that the instruction manual to assemble this product is incorrect and should not be followed. Despite the poor instructions, users did find that assembly time was short and that the construction of the product was relatively easy. The product that stands out as the best lawn sweeper is the Brinly STS-427LXH Tow Behind Lawn Sweeper. Users found it to be incredibly efficient and effective at the job it was intended to do. It’s also sturdy and solidly built. The only downside that users of this product found was the inadequate assembly instructions. However, once assembly is achieved, this isn't something that will impact the user again. If you need a push-along lawn sweeper, our choice would be the Agri-Fab 45-0218. It’s wider enough to collect lots of debris and is built with heavier duty materials without being too heavy to use or hang.